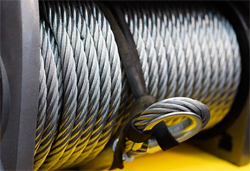 Basin Wire Rope & Rigging is the premier supplier of industrial wiring and slings in the Odessa, TX area. 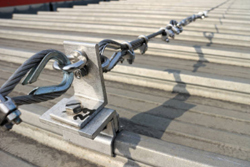 We carry everything from wire rope slings and synthetic slings to chain slings and spreader bars. All our products are only of the highest quality and are ideal for rigging and oil field companies and can help to get the job done properly and efficiently. As a locally owned company, we understand what your business means to you. This is why we provide high quality products that you can rely on to get the job done. No matter how big or small the project may be, our team can help you pick the right brand and product from our selection. Call us today to learn more about what we have in stock. Wire rope is a durable, long-lasting and affordable product to use in heavy lifting. Our wire rope is available in a variety of lengths, which can make them ideal for deep drilling, mining, and all kinds of construction projects. Whether you’re using our products for crane work or using them for oil rigging, you can rest assured that you are getting high quality products for the best price. Call today to learn more about our products. 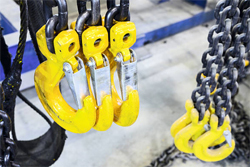 We have a wide range of sling products, including synthetic slings, wire rope slings, and chain slings for all kinds of industrial applications. Our high-quality wire rope slings include single part slings, braided slings, and socket assemblies. Depending on your needs, our staff is happy to help you find the right option for you. Call today to learn more! If you’re looking for a reliable industrial parts distributor, you’ve come to the right place. We understand what you need and we are willing to go above and beyond to deliver it. Call today to learn more about our inventory!